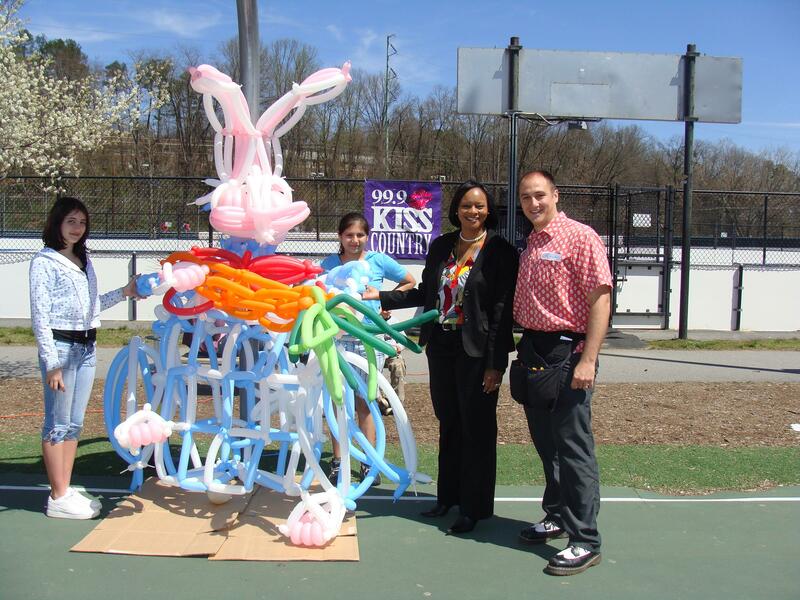 Big Balloon Party - Asheville Magician, Asheville Balloon Twister and Balloon Sculpture Artist. Magic and Balloon Twisting. Party and Event Entertainment. Children Birthday Party Shows. Mark creates a massive custom object / animal / creature right before the audience - and with the help of many volunteers in a fun and engaging enterprise that incorporates science, education, and visual art into a show that kids think is so much fun they don't know they're actually learning! 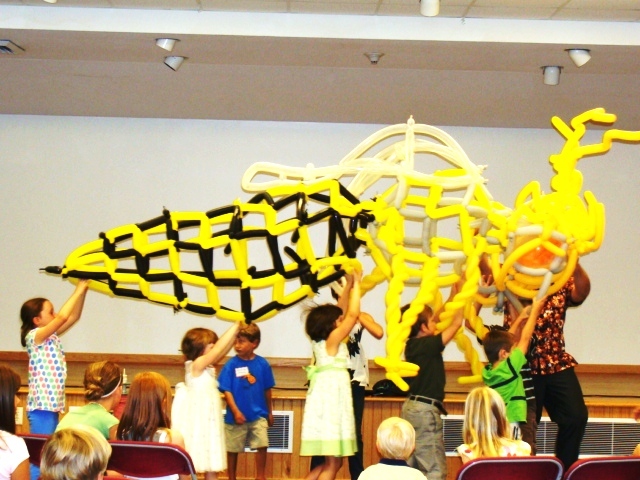 Parents comment repeatedly that this offers kids the opportunity to have hands on fun on a large scale, while learning about shapes and whatever item they are building. Past items include a ten foot by five foot grasshopper, a life sized Chef, a skeleton, and MORE! The kids become the creators and end up with a large colorful creation to enjoy. In addition to the large creation... Mark can come prepaied with HUNDREDS of balloons ready for EVERYONE to get a chance to twist their own personal creation and have a huge BALLOON PARTY. There can be several stations ready for all ages to grab some balloons and twist together their own imaginative items and animals. Mark is there to assist - just in case!